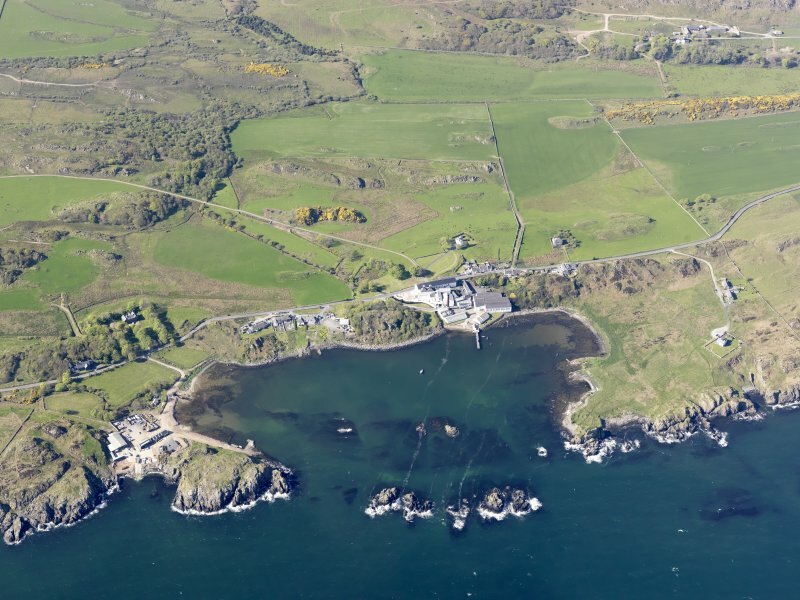 Lagavulin Distillery. 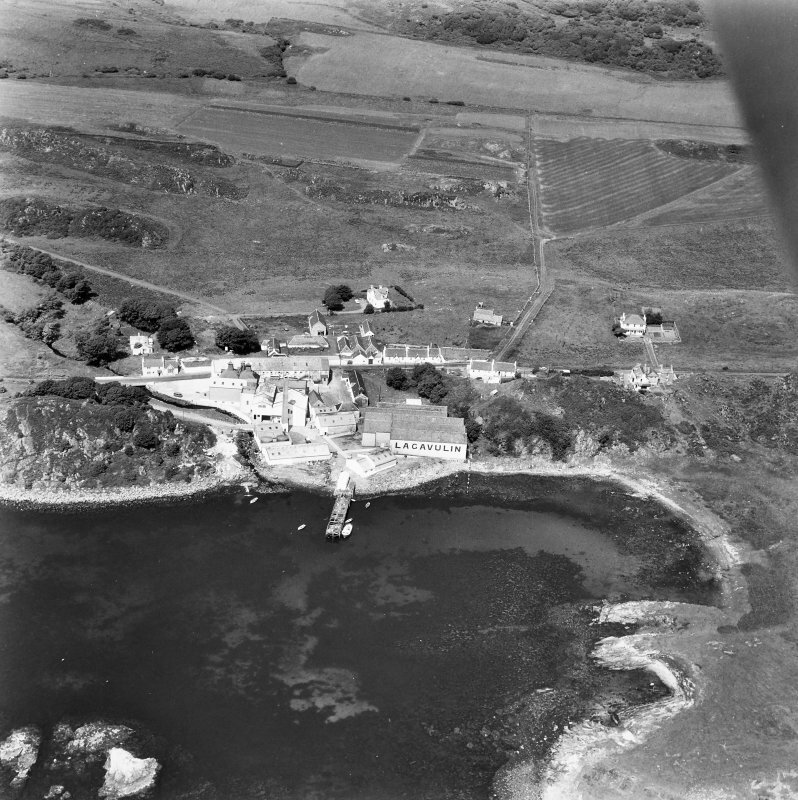 Aerial photograph from South East. 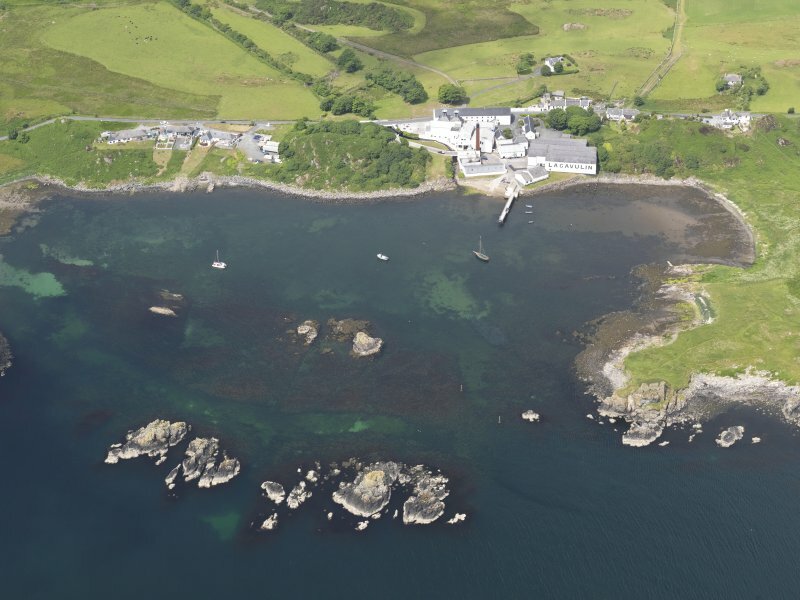 Lagavulin Distillery. 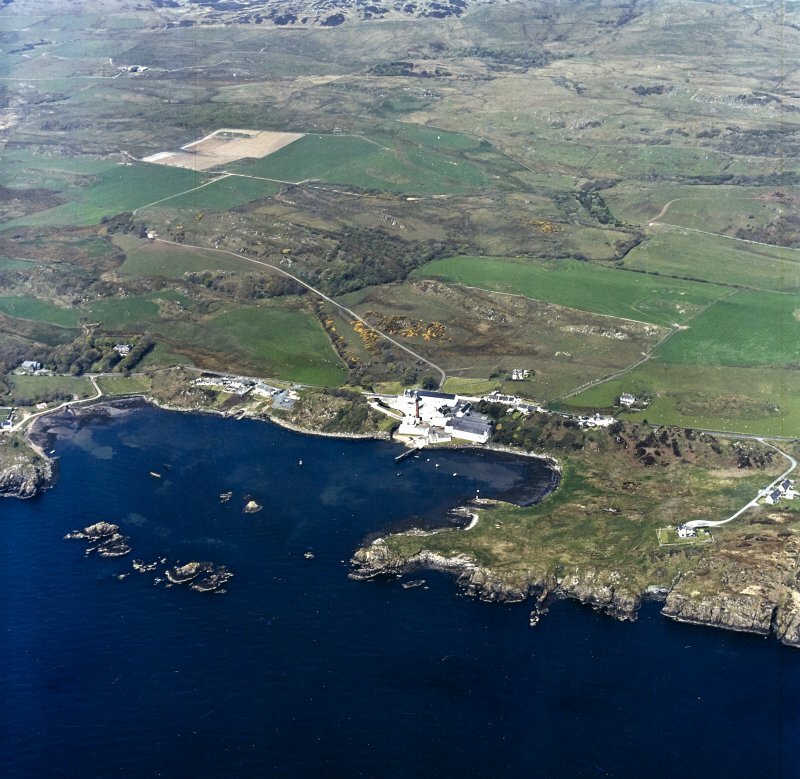 Aerial photograph of Distillery and Lagavulin Bay. 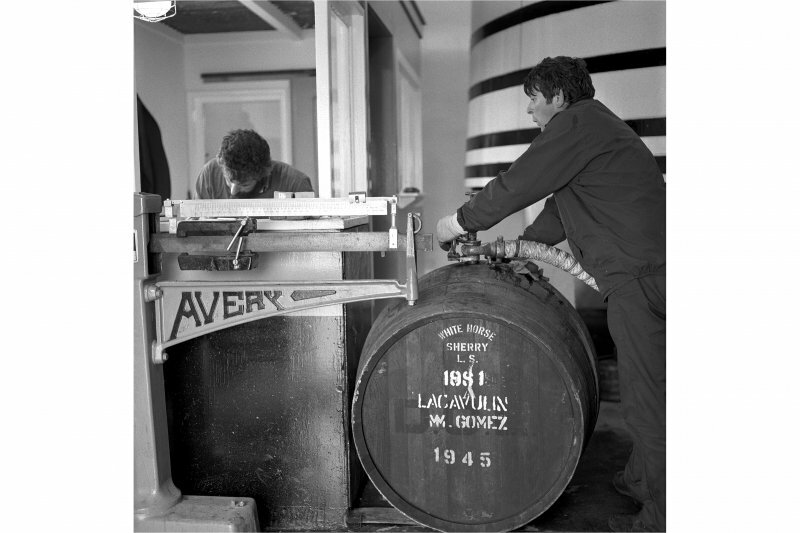 Lagavulin Distillery, Filling Store. 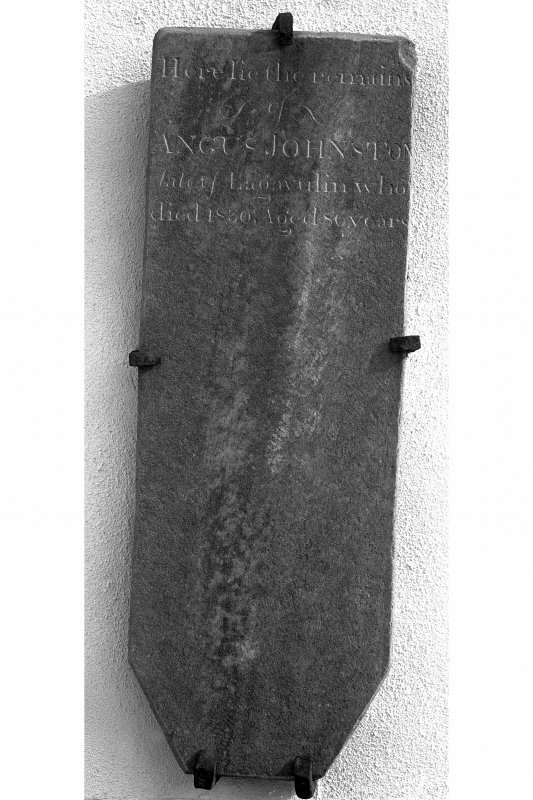 View of inscribed tomb slab affixed to gable of Filling Store. 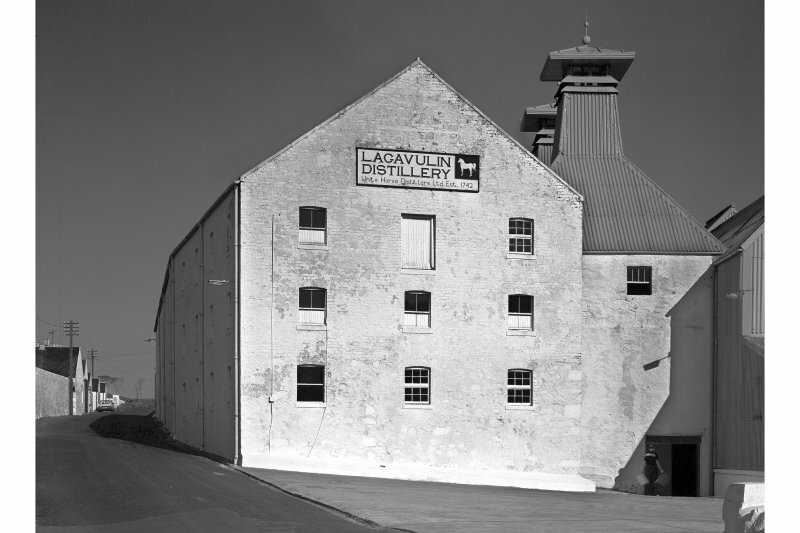 Lagavulin Distillery, Old Malt Barn. 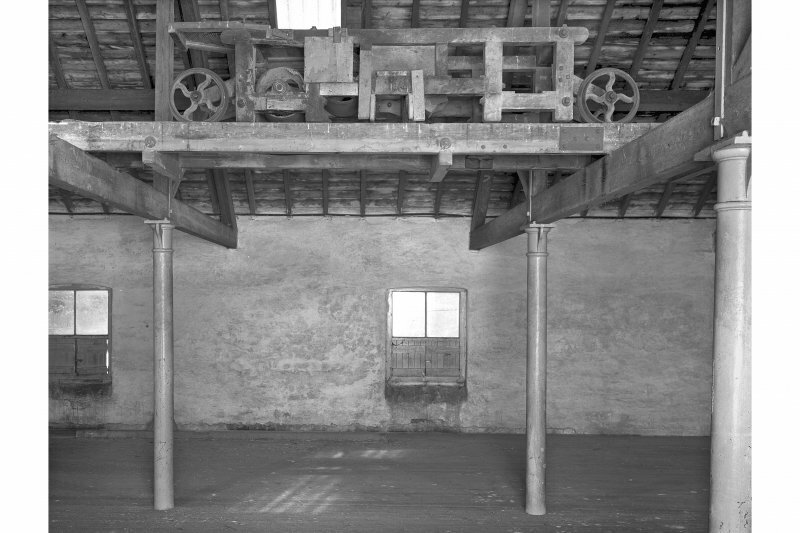 Interior view showing mono-rail wicker-basket system (travellers) for conveying steeped barley from steeps on to malting floor. 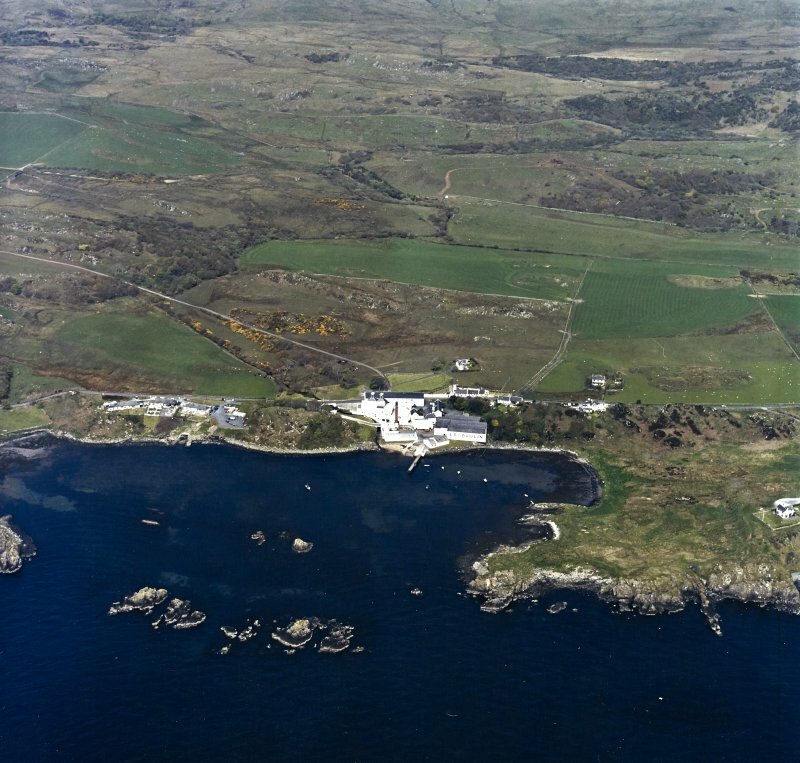 Lagavulin Distillery, view from South East. Digital image of A/57357. 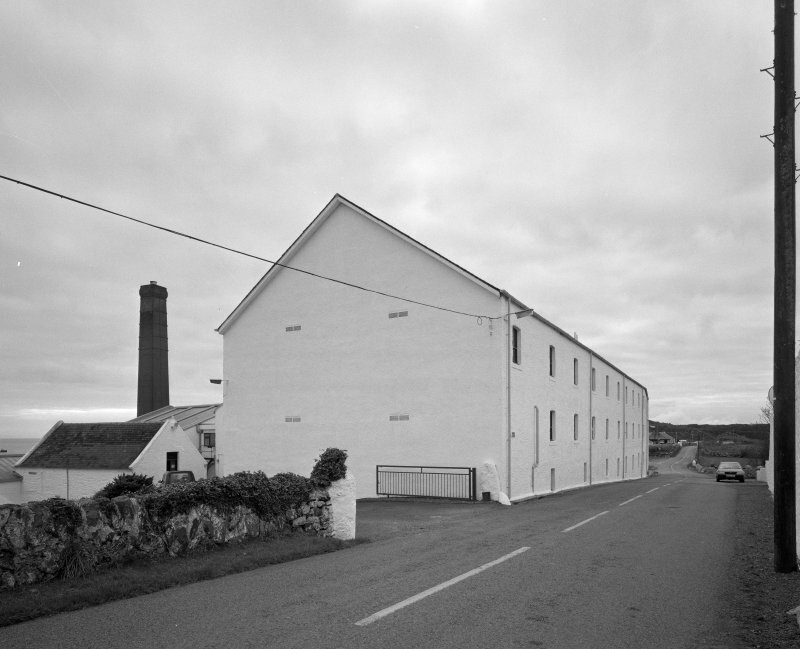 Lagavulin Distillery, Old Malt Barn. 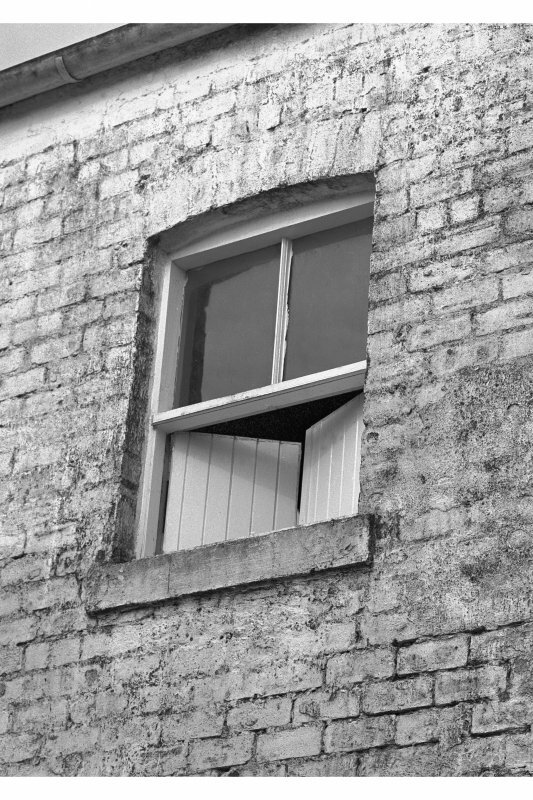 View of specimen half shuttered window. 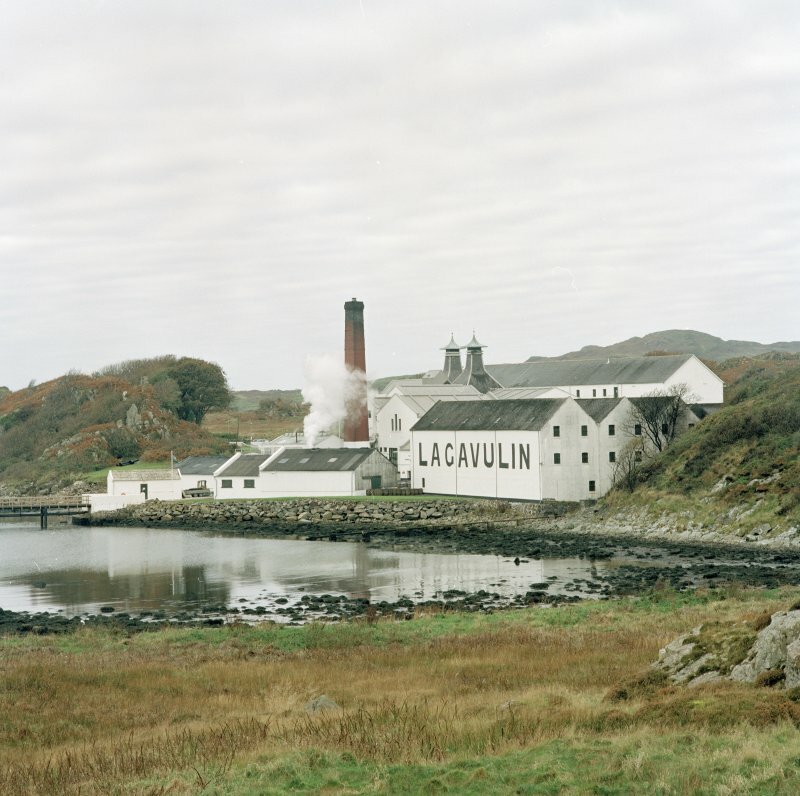 Lagavulin Distillery, Still House. Interior view of wooden-stave intermediate spirit-receiver. 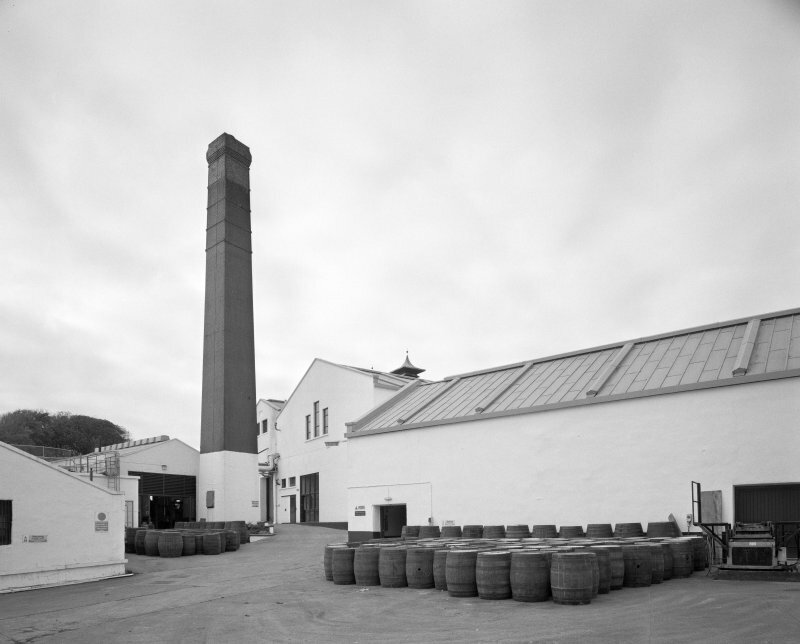 Lagavulin Distillery, Kiln. 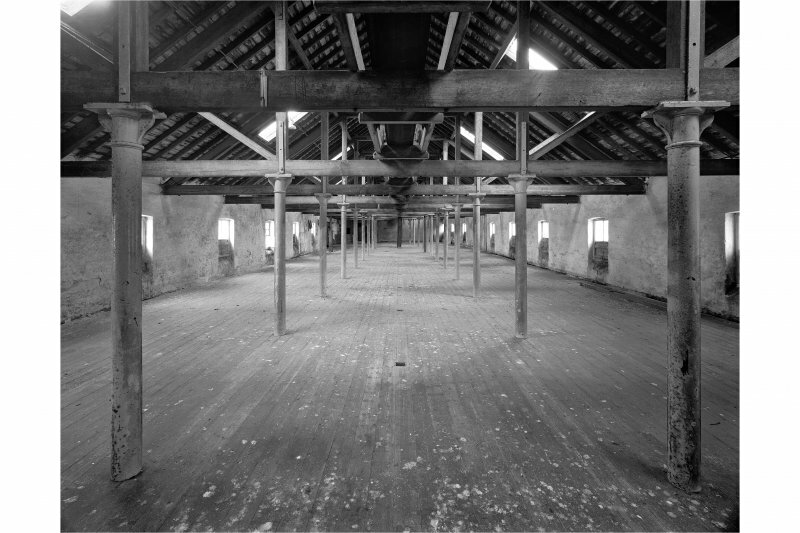 Interior view of Kiln roof and drying floor. Lagavulin Distillery, Filling Store. 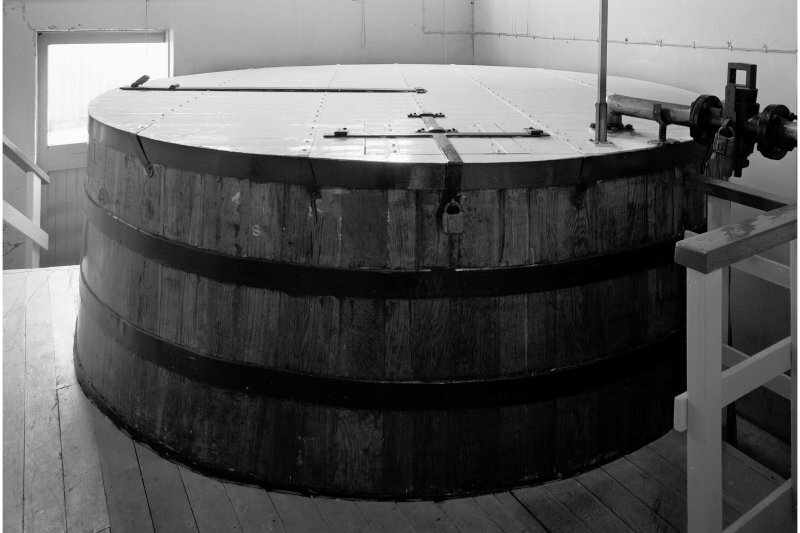 View of man 'cask-filling'. 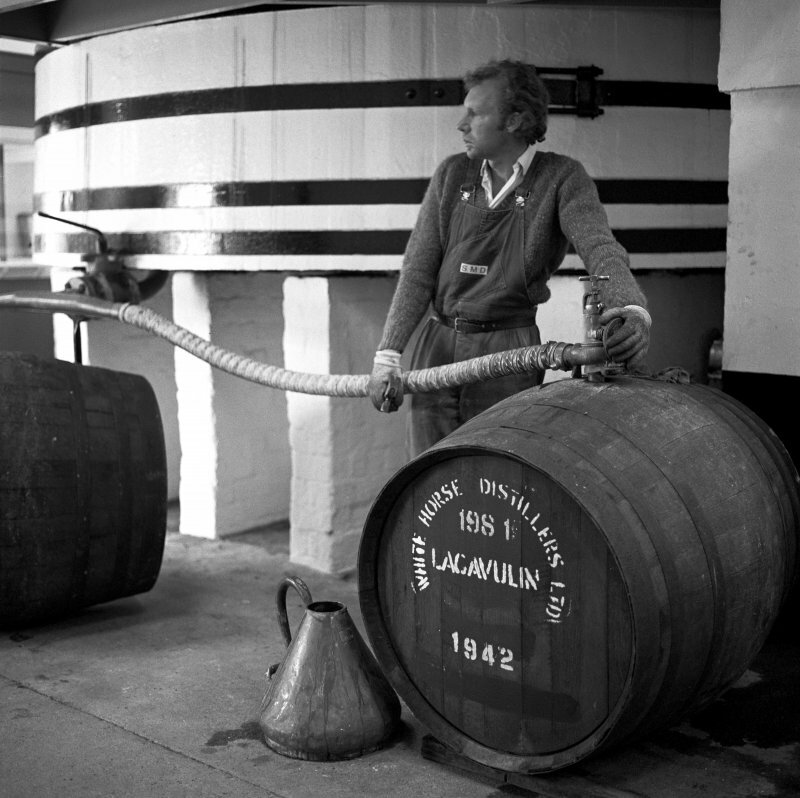 Lagavulin Distillery, Illicit Still Apparatus. 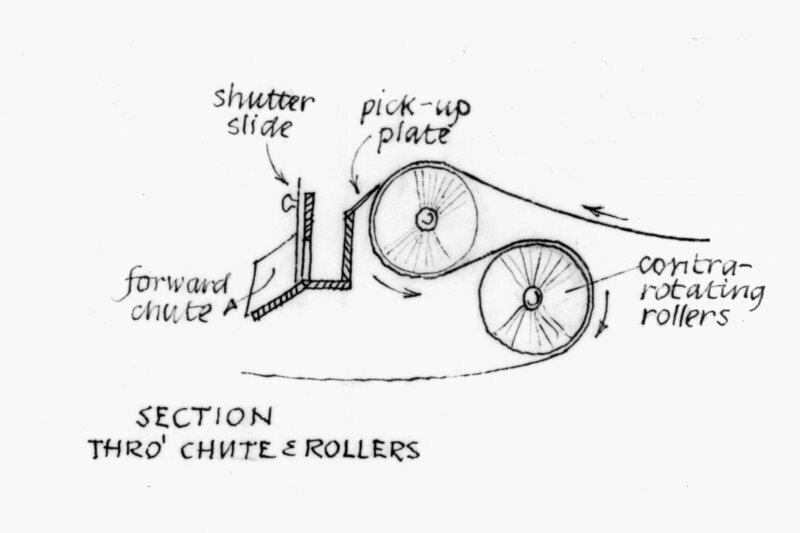 Photographic copy of part of sheet of survey sketches. 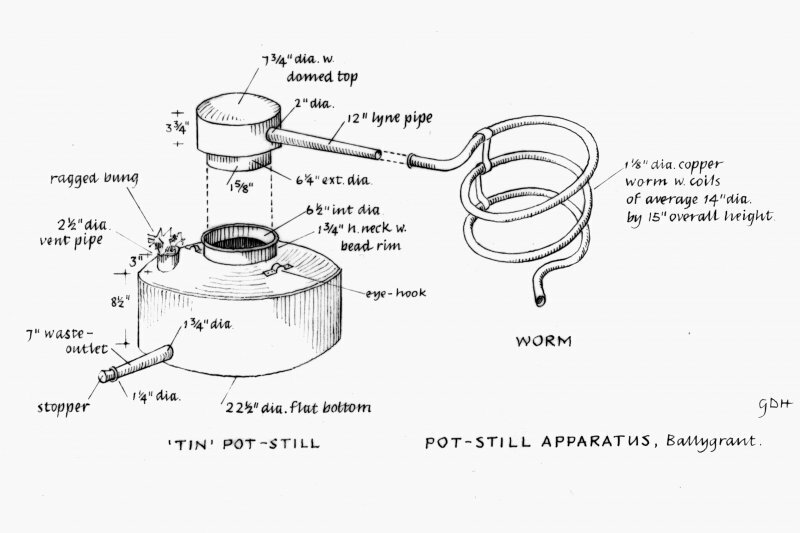 Titled: 'Pot Still Apparatus' 'Tin Pot Still' Ink. 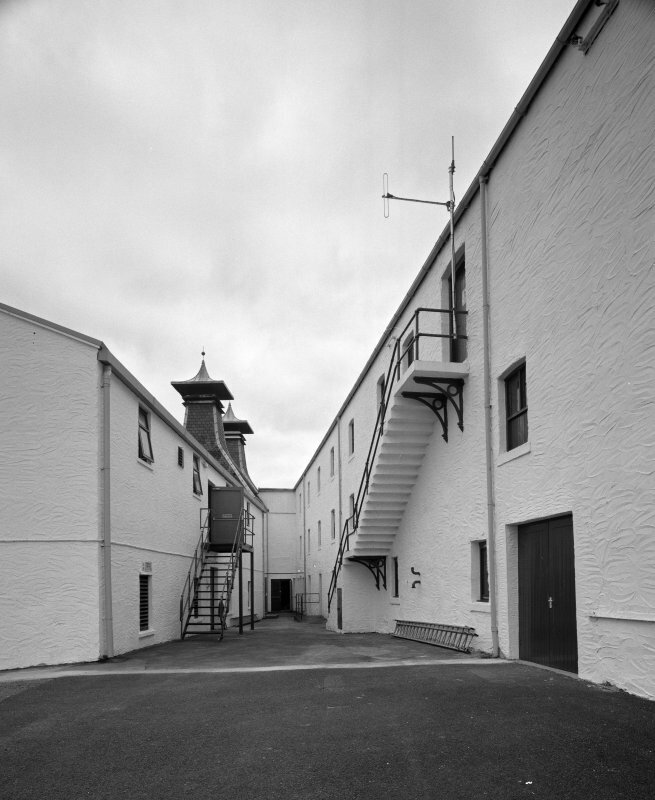 Lagavulin Distillery, Filling Store. 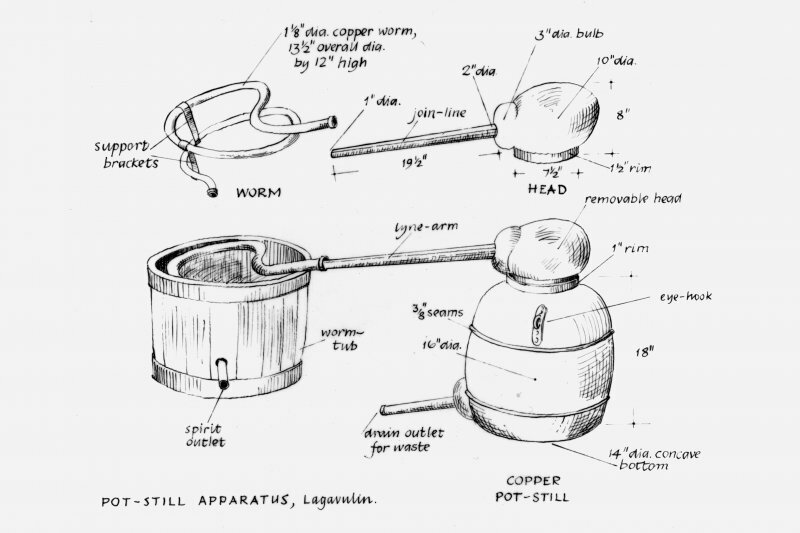 Detail of cask-filling unit. 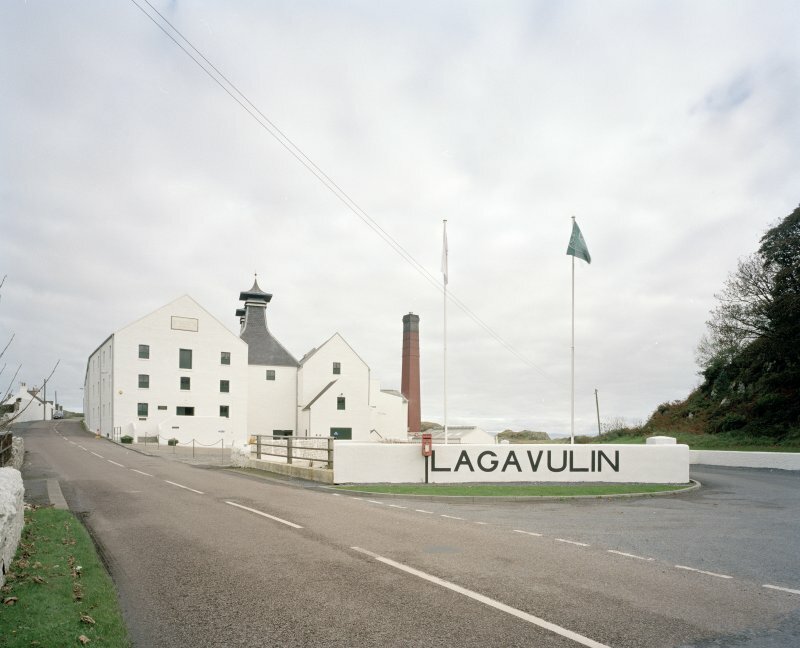 Lagavulin Distillery. Photographic copy of Barley Bogey. Titled: 'Barley Bogey (casting removed). 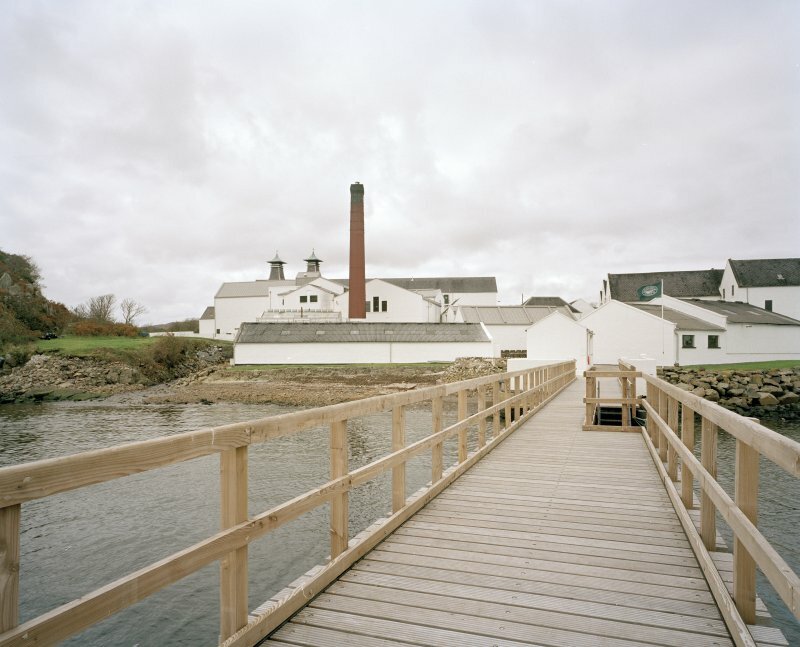 Lagavulin Distillery, Malt Loft. 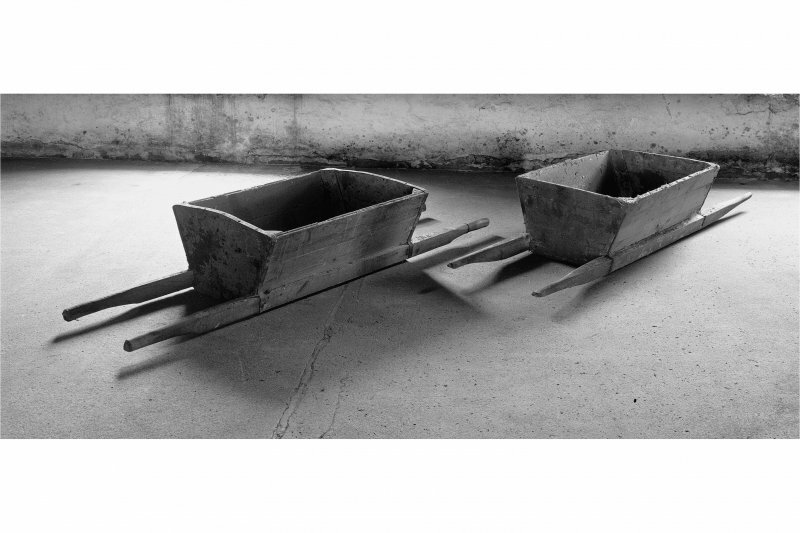 View of Barley Boxes (for spreading 'green' malt on kiln floor). 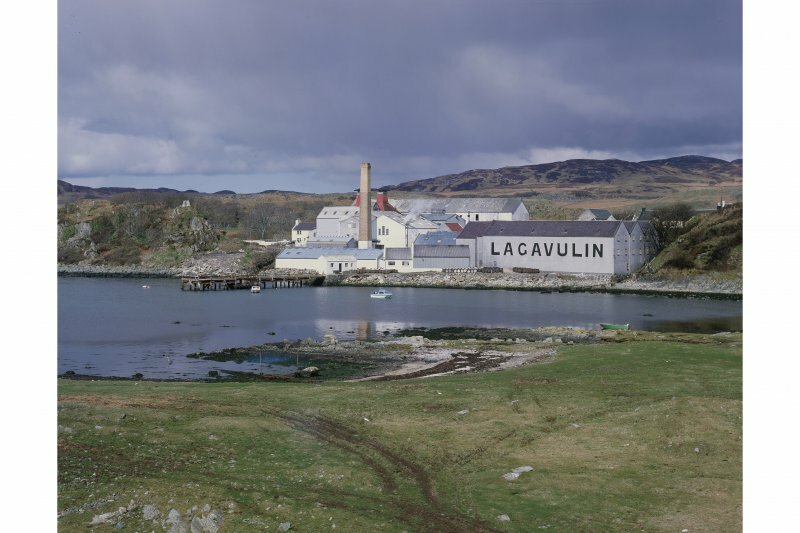 Lagavulin Distillery. 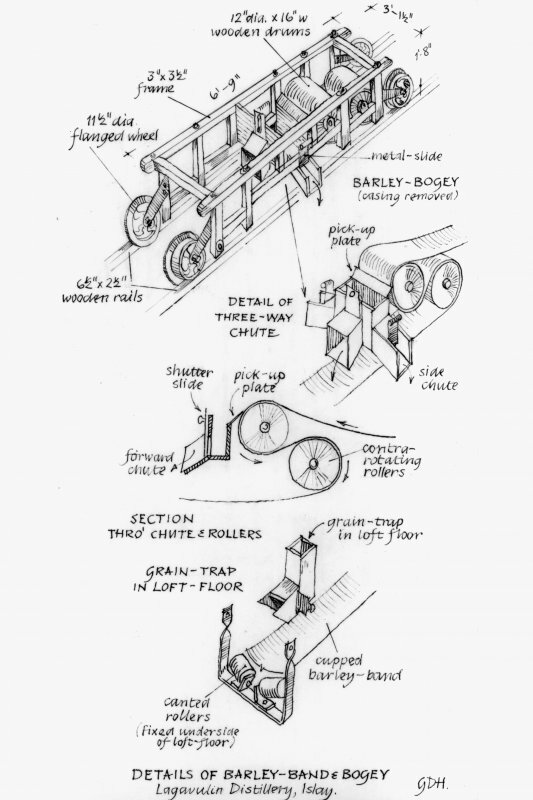 Photographic copy of survey sketch. Titled: 'Detail of three way shoot'. 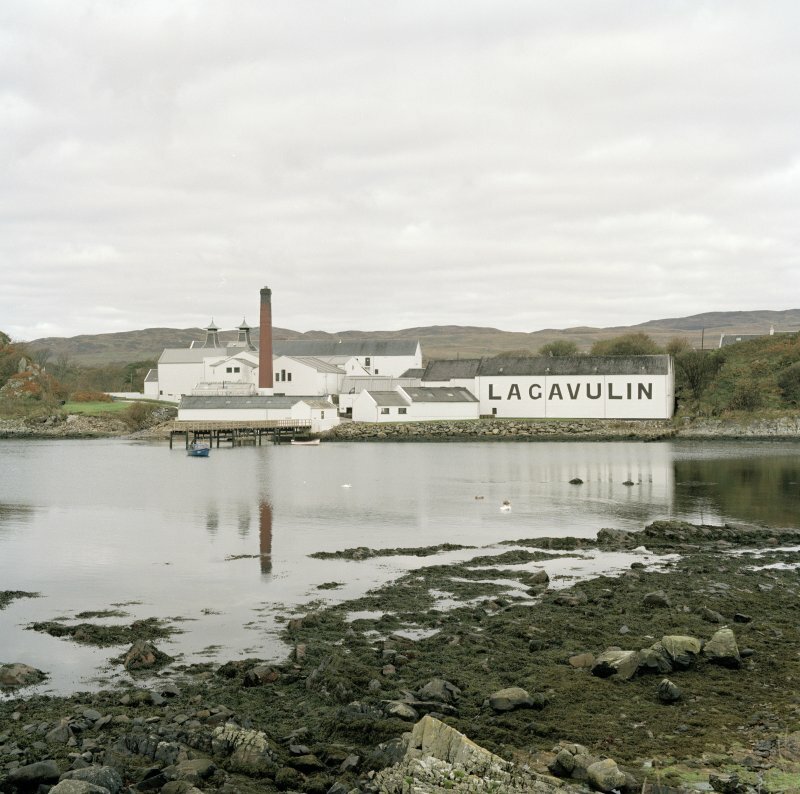 Lagavulin Distillery. Photographic copy of survey sheet of sketches. 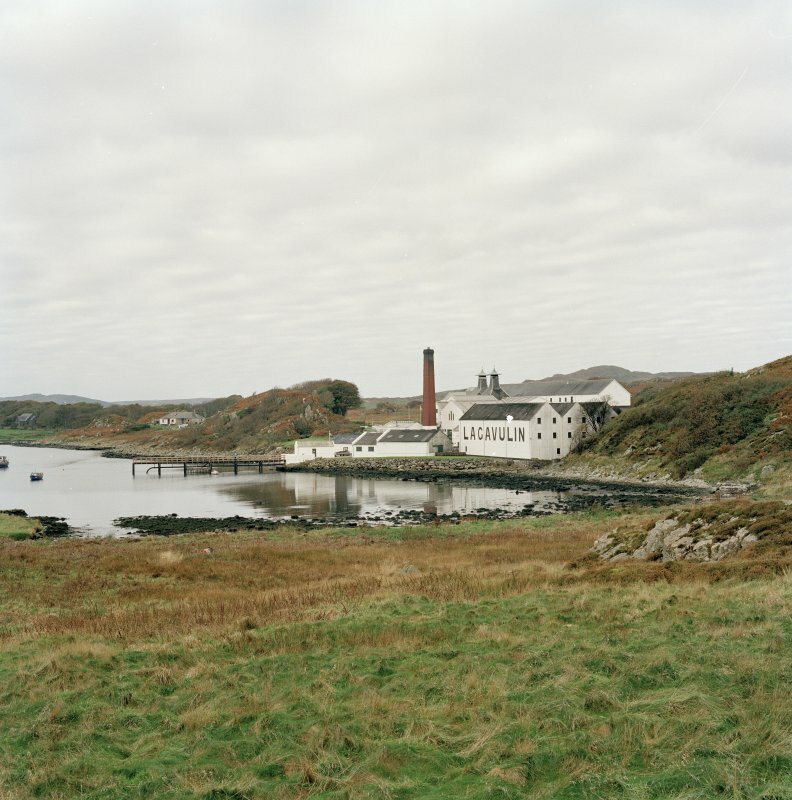 Titled: 'Details of Barley-Band and Bogey,Lagavulin Distillery, Islay'. 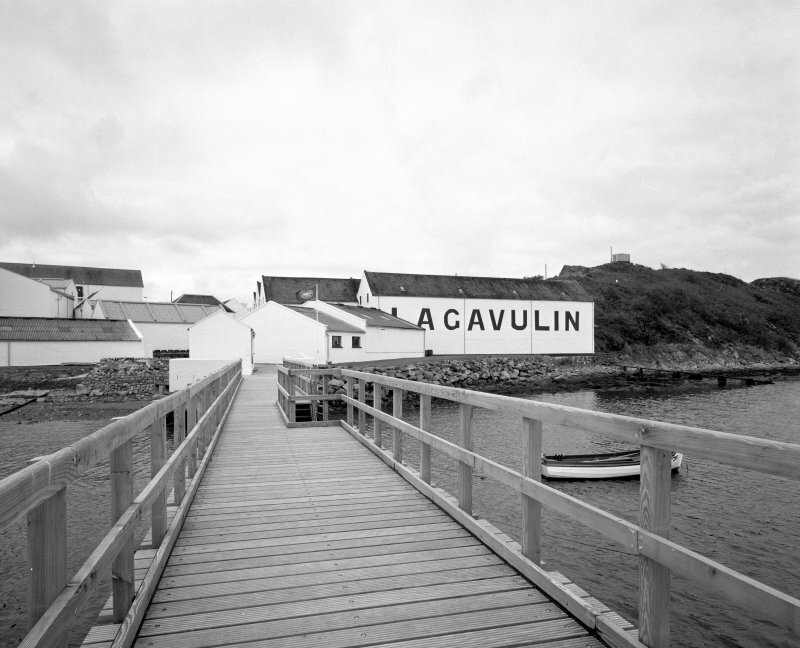 Lagavulin Distillery, Pier. 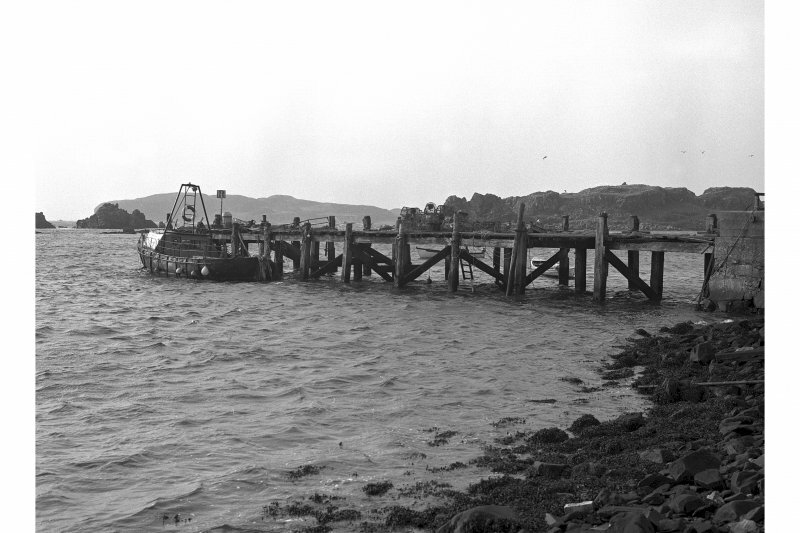 View of Piled Wooden Pier. 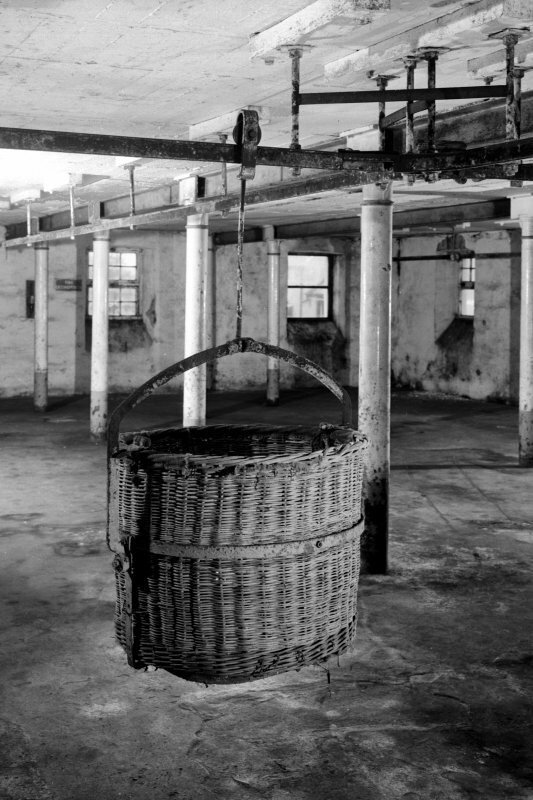 Lagavulin Distillery, Illicit Still Apparatus. 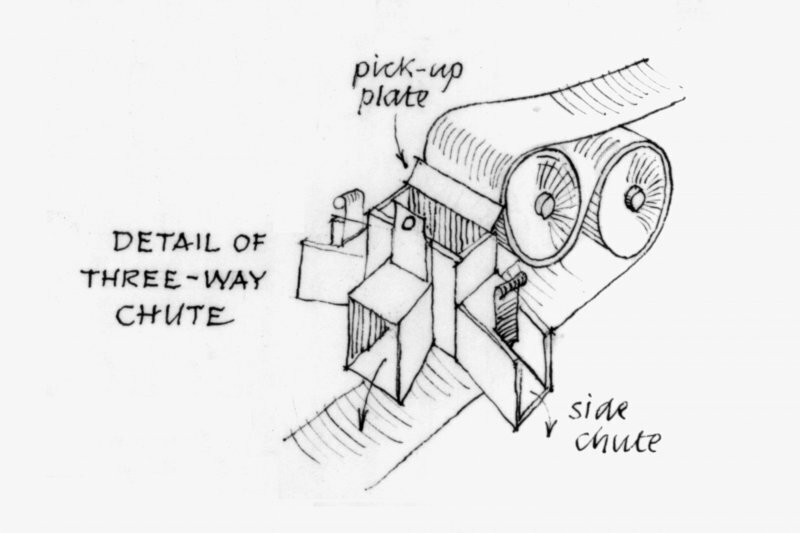 Photographic copy of part of sheet of survey sketches. 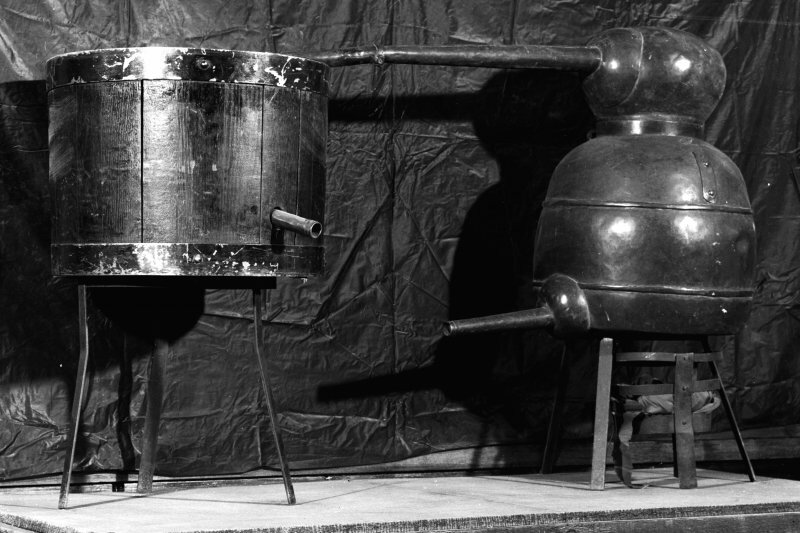 Titled: 'Pot-Still Apparatus, Lagavulin' 'Copper Pot Still'. Ink. 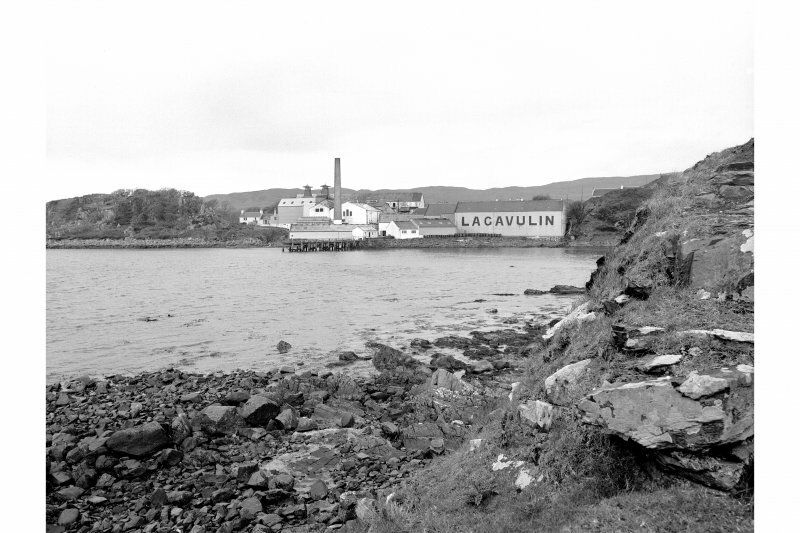 Lagavulin Distillery. Photographic copy of survey plan. 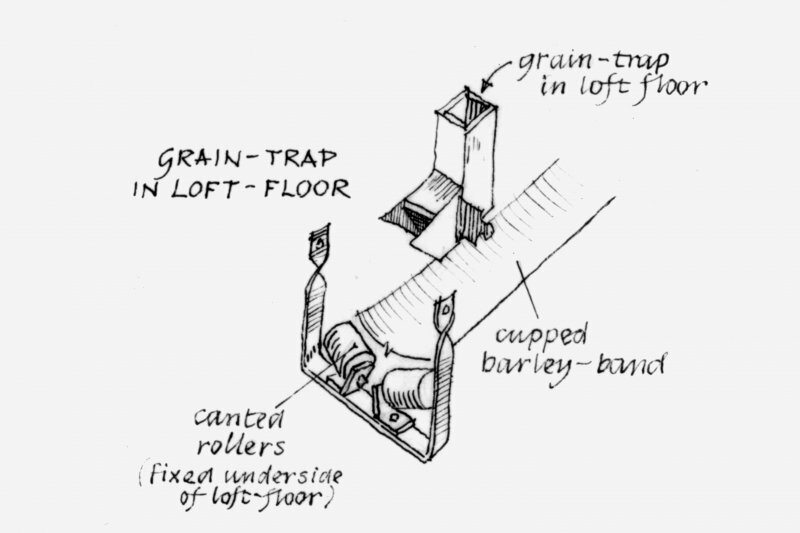 Titled : 'Grain-Trap in Loft-Floor'. 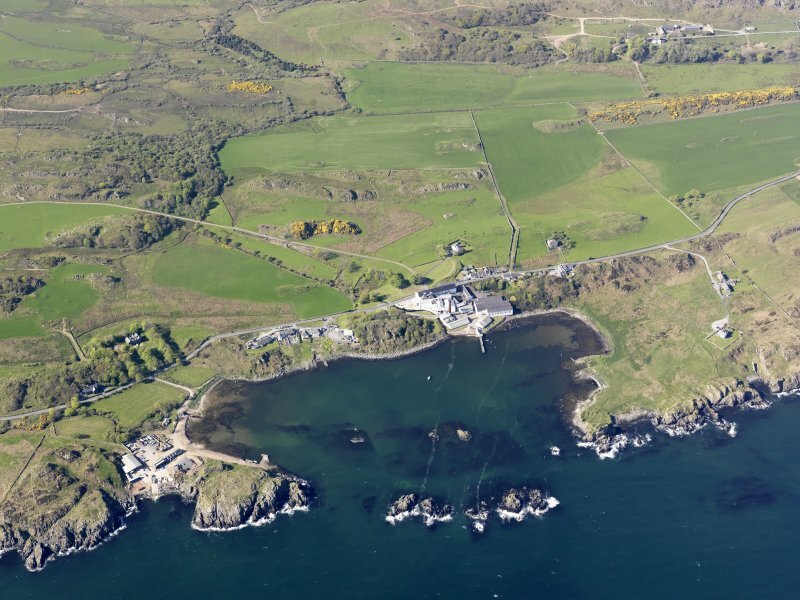 Lagavulin Distillery. 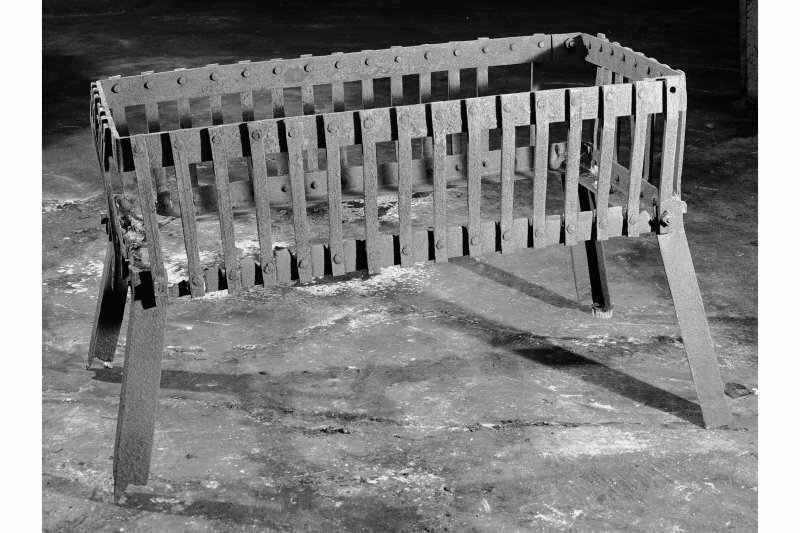 Interior view of selection of wooden implements used at the malting stage. 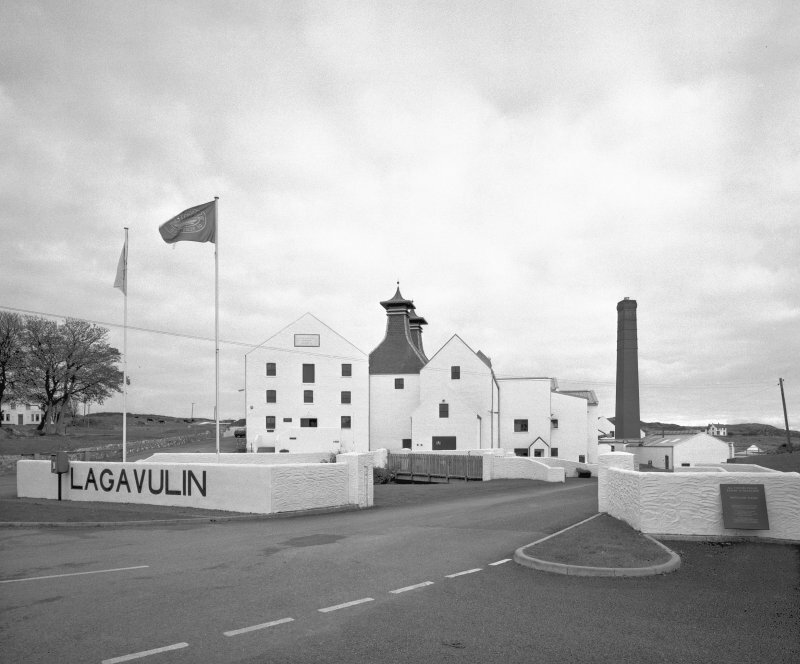 Lagavulin Distillery, Still House. 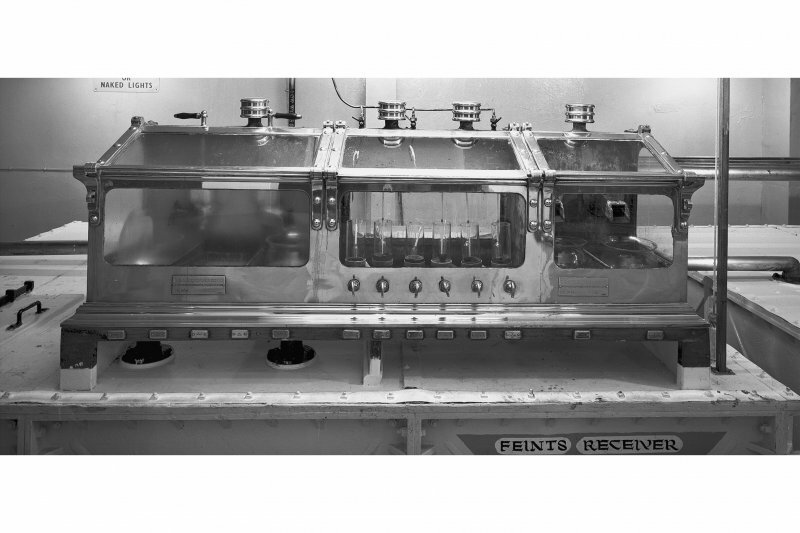 Interior, view of spirit safe. 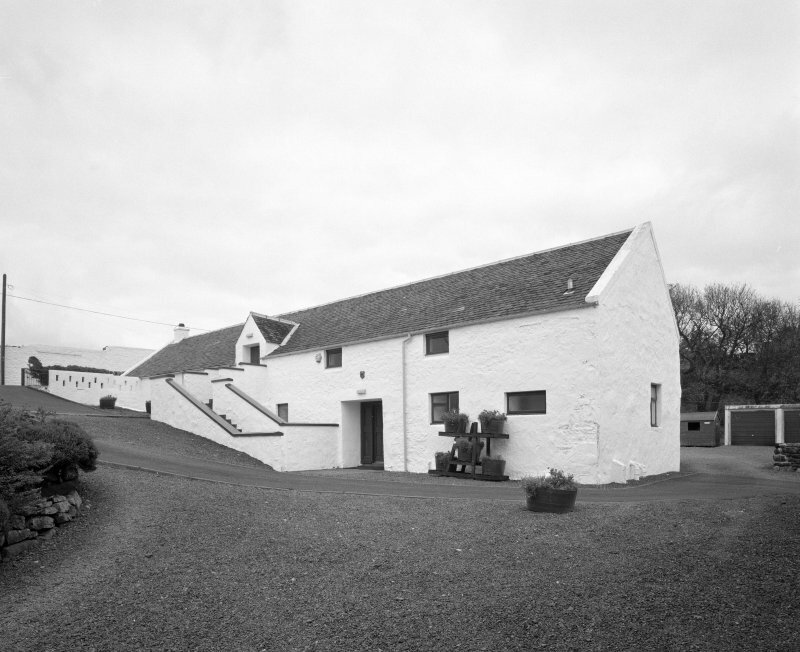 Lagavulin Distillery, Old Malt Barn. 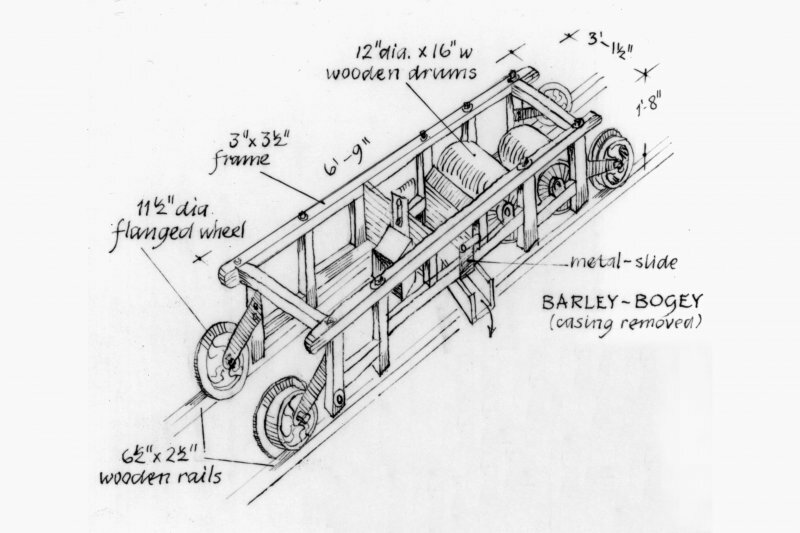 Interior view of Barley Bogie in malt-loft. Lagavulin Distillery, Filling Store. 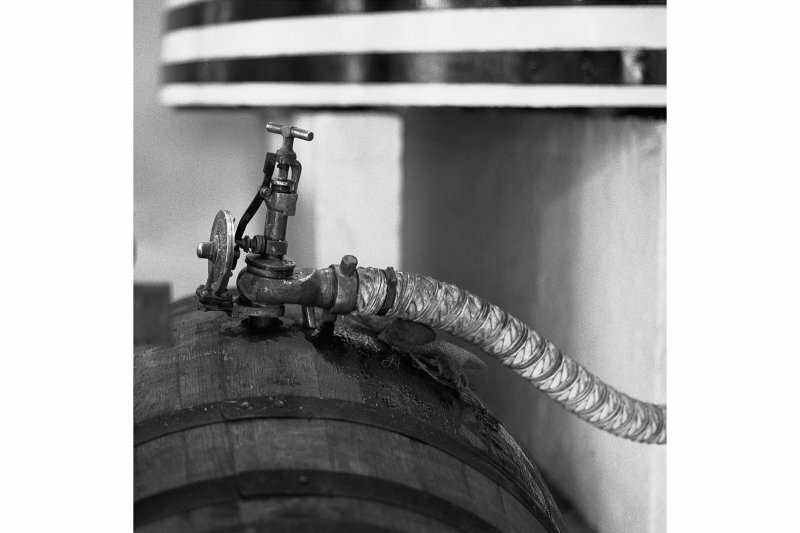 View of filling cask with spirit. 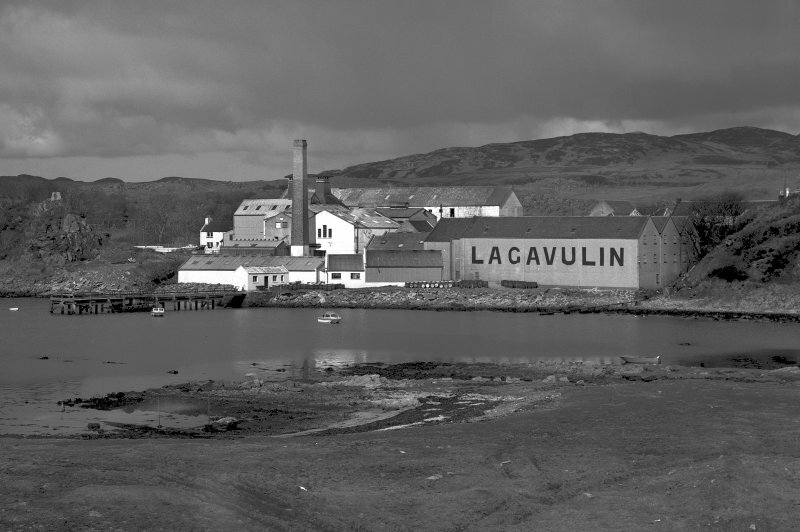 Lagavulin Distillery. 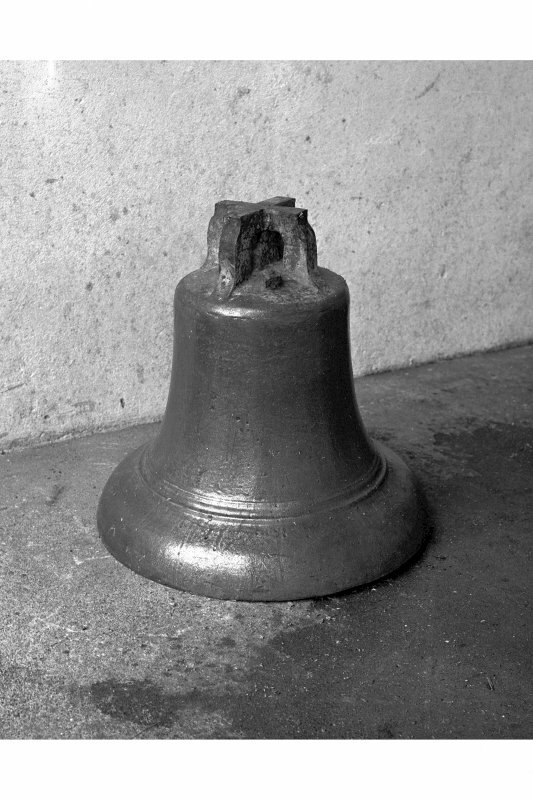 View of Bell from former Lagavulin Church. 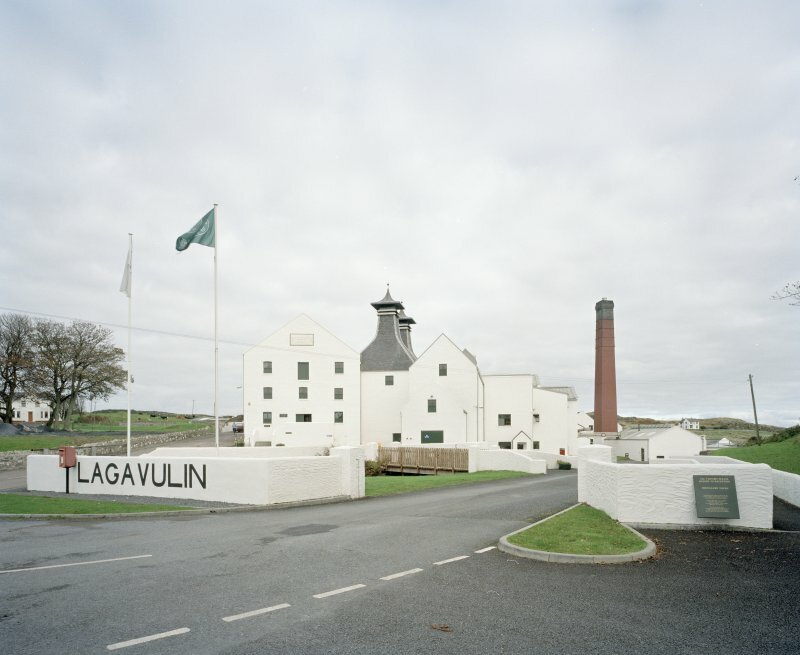 Lagavulin Distillery, Malt Loft. Interior view from North. 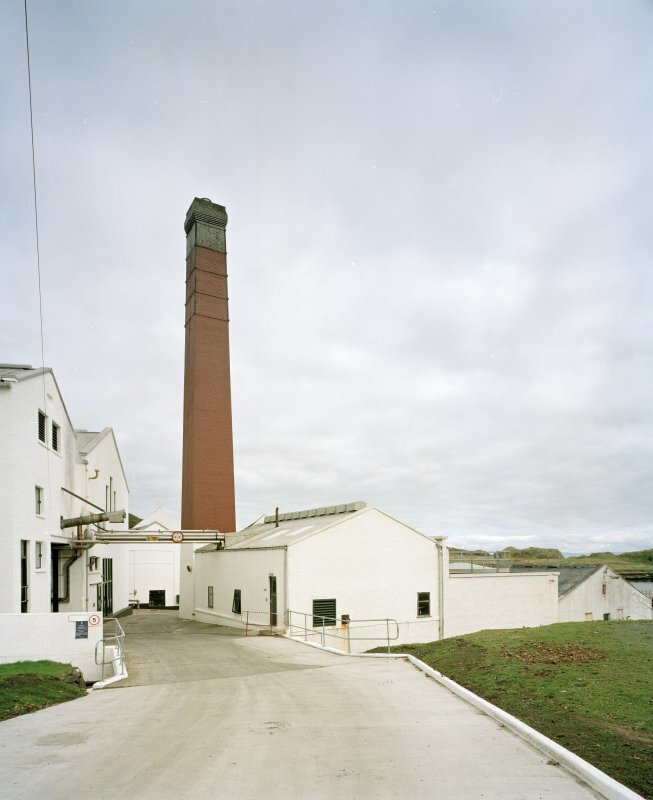 Lagavulin Distillery, Kiln. 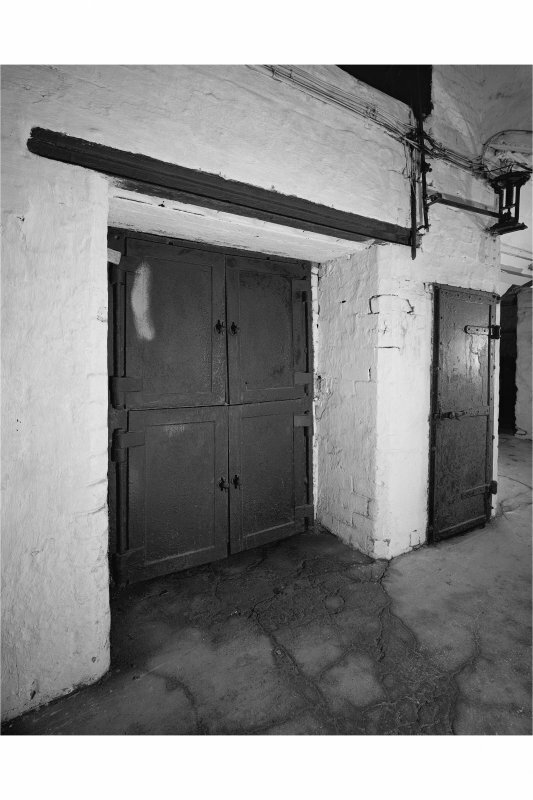 View of Iron doors of furnace and service door. 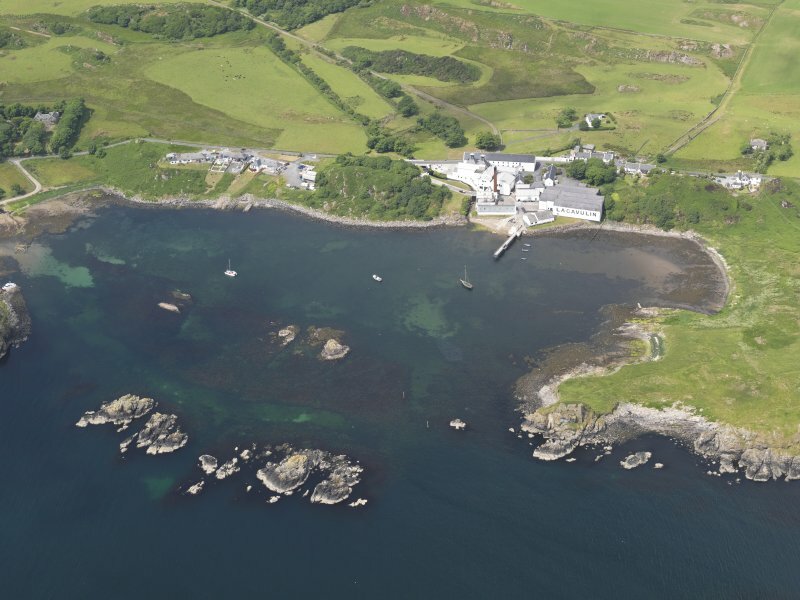 Lagavulin Distillery. 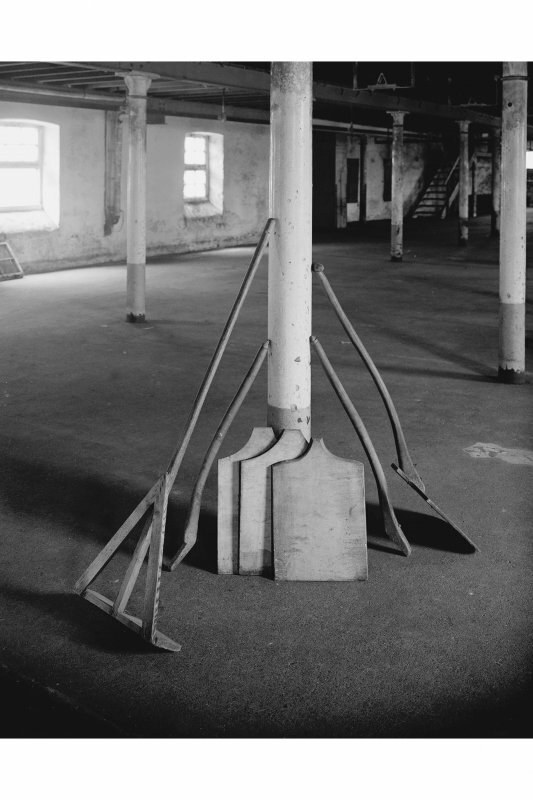 Interior view of selection of implements used at the malting stage (and germination). 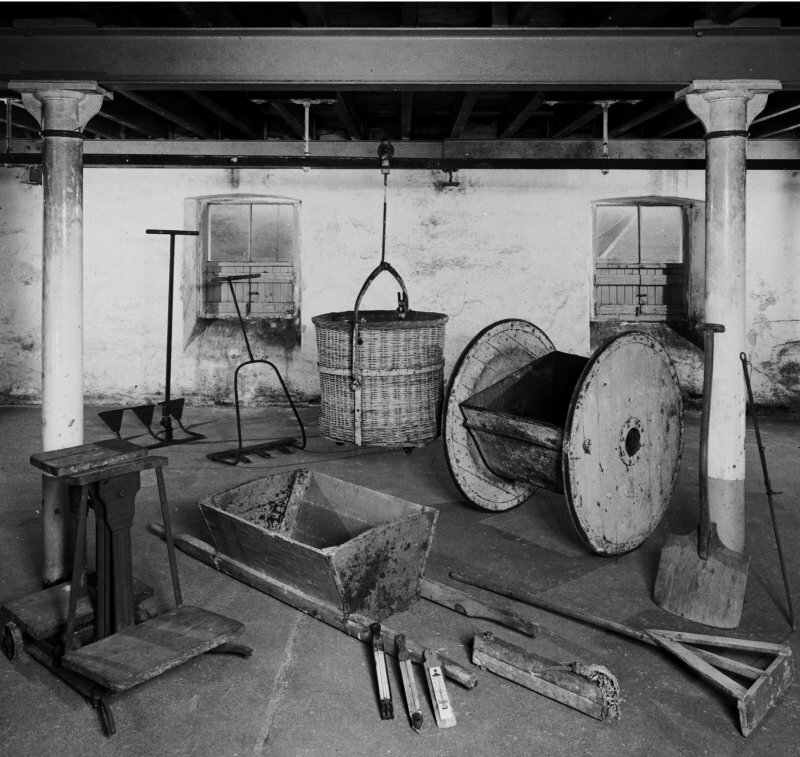 Lagavulin Distillery Photographic copy of sheet of survey drawings of Illicit Still Apparatus. Ink. (Location cited as NR 404 457). 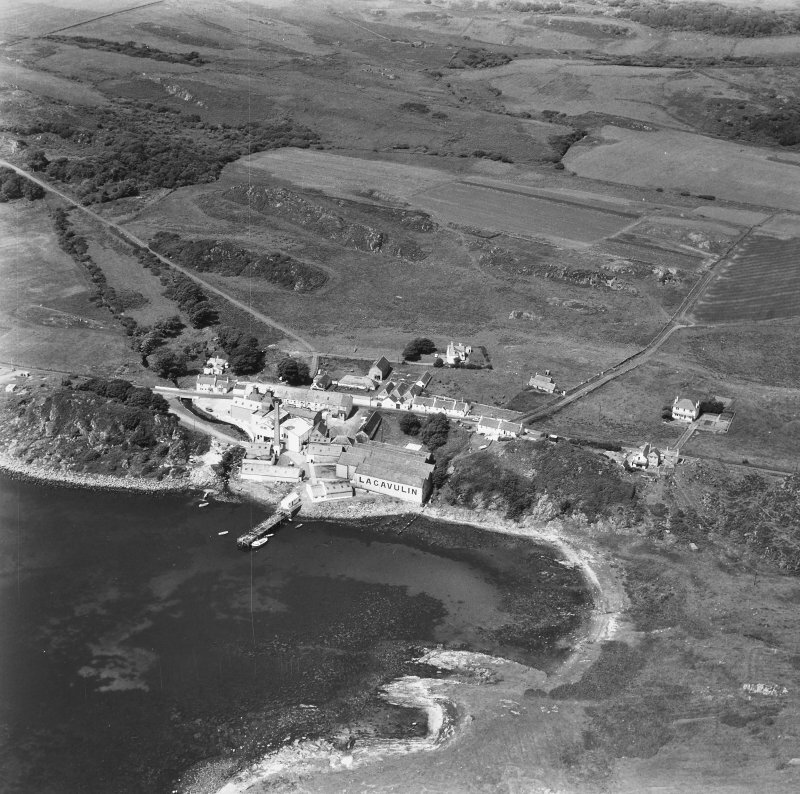 Lagavulin Distillery, early 19th century and later. 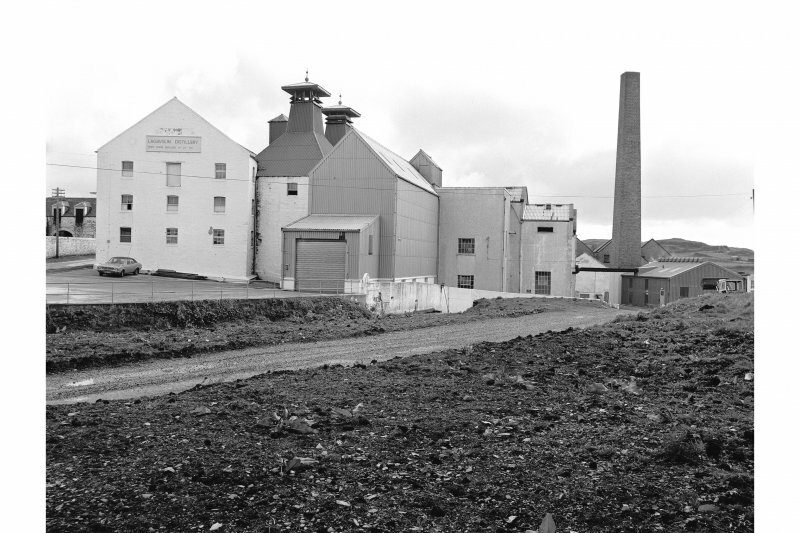 A small distillery with a 3-storey range of malt barns and a pair of pyramidal-roofed kilns. Most of the ther buildings are modern. There is a prominent red-brick chimney. The complex is served by a wood-piled pier. 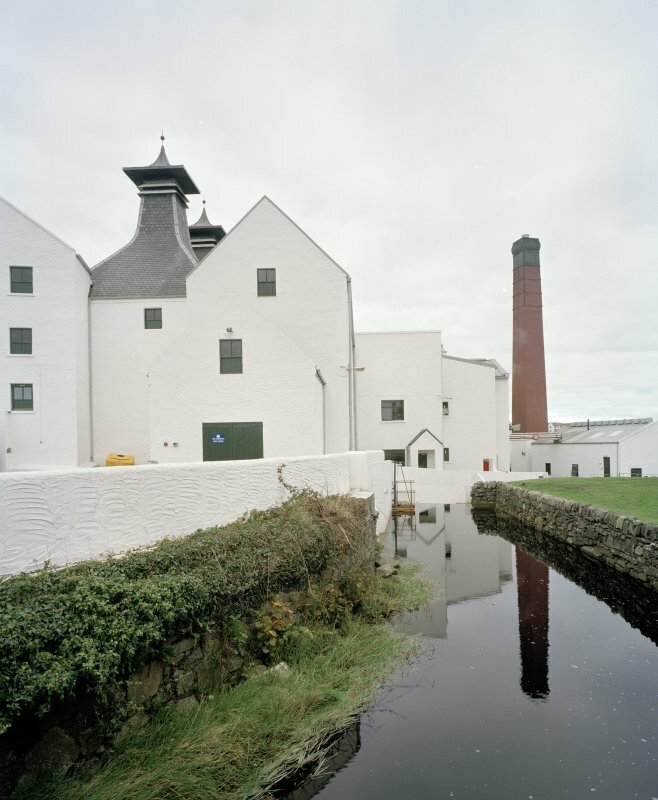 Barnard's reflections, made in 1887, state that Lagavulin Distillery is said to be one of the oldest distilleries in Islay. The business having been founded in 1742. At that period it is said to have consisted of ten small and separate smuggling bothys for the manufacture of "Moonlight". 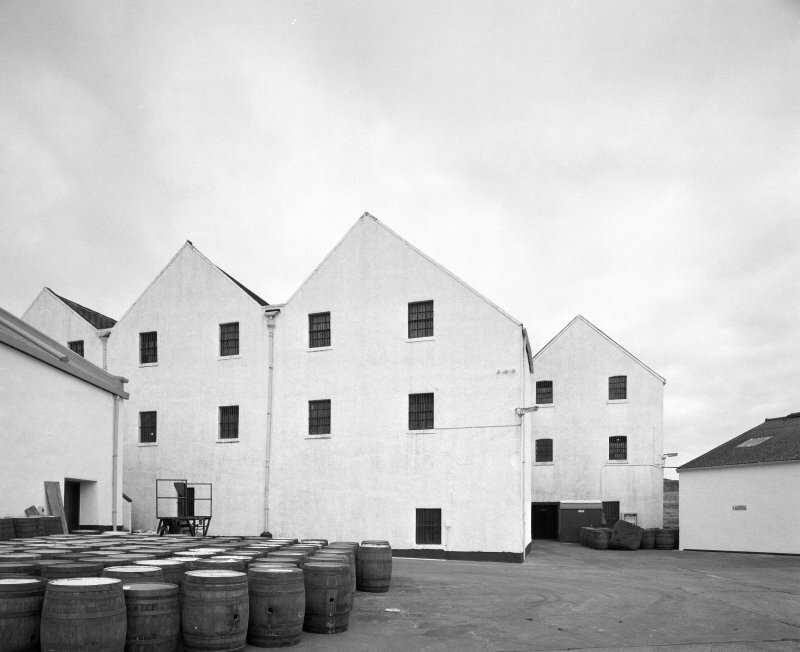 Early in the 19th century the buildings were converted into a legal distillery, and in the year 1835 they came into the possession of J.L.Mackie and Company. 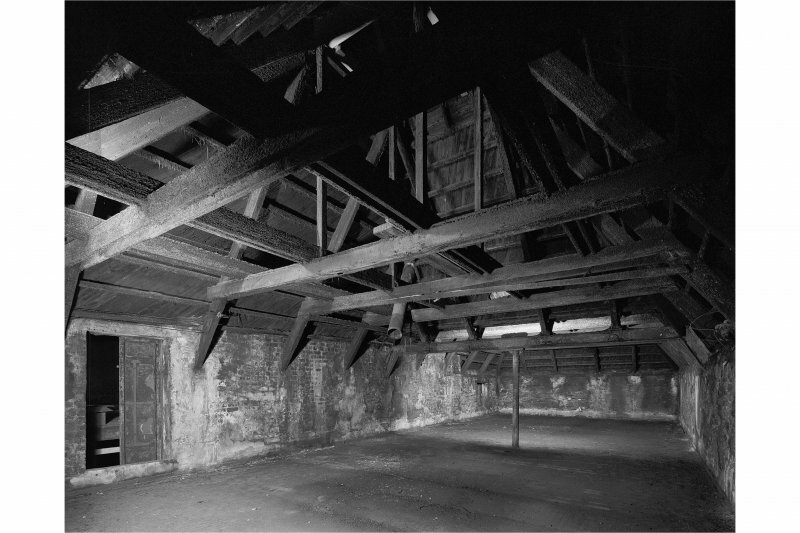 The Maltings, which were arranged on one side of a long open court, were 150 feet long and 36 feet broad. Attached to these buildings was a Kiln, measuring 36 feet by 28 feet. 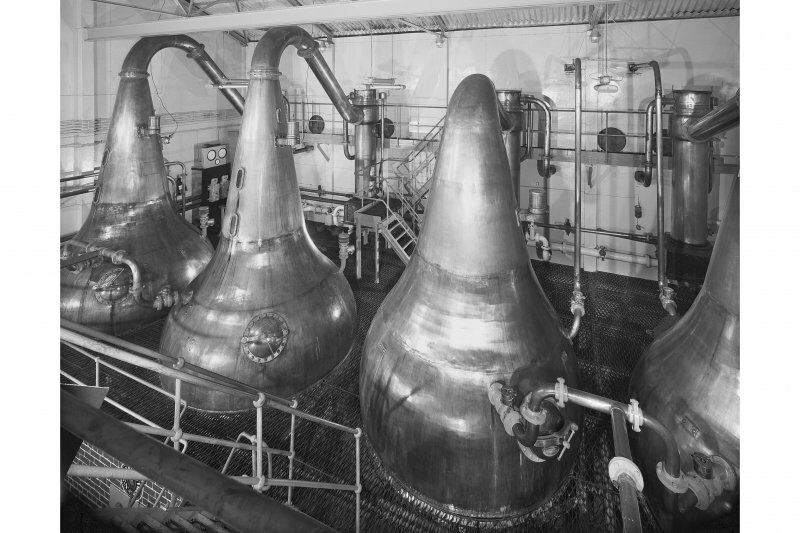 The Still House contained two old Pot Stills, one of them being a Wash Still holding 1,200 gallons. The other was a Low-wines and Feints Still holding 650 gallons. The annual output at this time was 75,000 gallons. 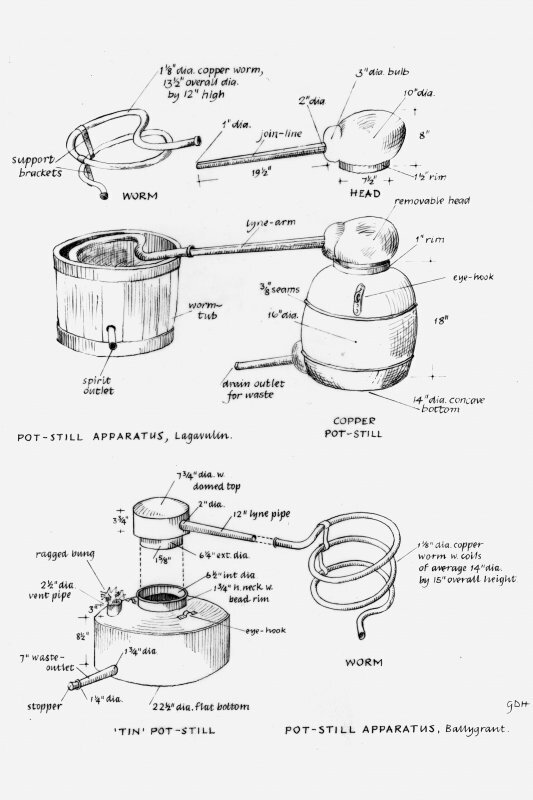 The make being largely used for blending purposes. 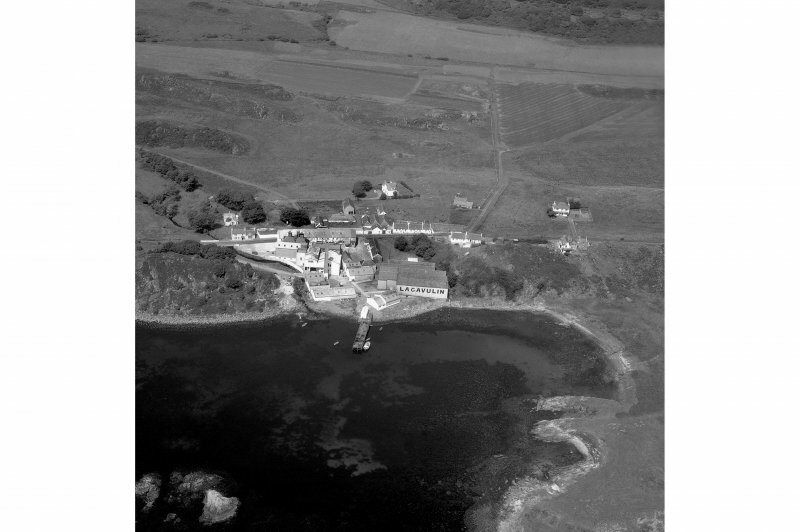 A RCAHMS photographic survey was conducted, during October 1999, in order to enhance and augment the National Monuments Record Scotland holdings. 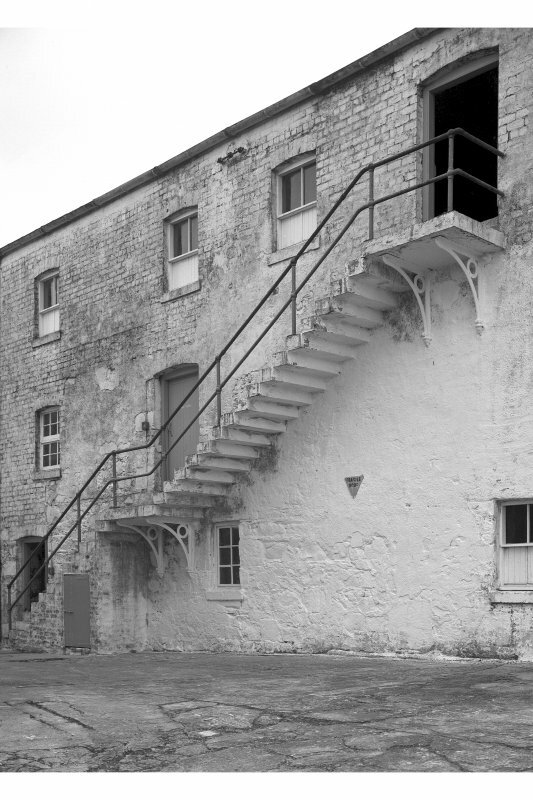 At the time of this survey the Distillery was still in use and had also been adapted for visits.